Give a fantastic touch to your wall decorations inside your house with paper quilling. This Artsy Fartsy tutorial will teach you how to make quilling wall decoration with paper crafts. This is one of the best wall decoration ideas with paper. You can also use these as DIY celebration decorations which will get a breathtaking look with these wall hangings. 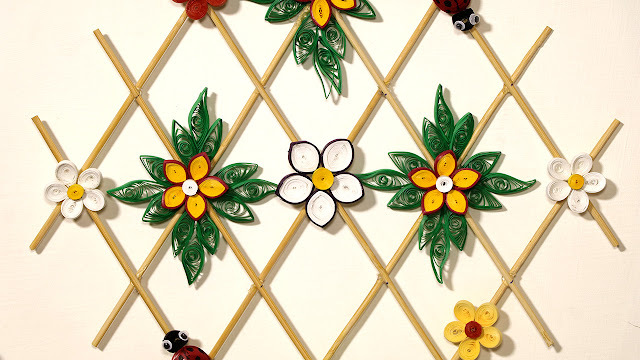 If you are new to quilling art and do not know how to make quilling, do not worry as this tutorial will show you detailed instructions to make this wall decor at home. Quilling means rolling narrow paper strips into close loops and make various objects from it. It is an exciting activity of paper crafts which is widely used in DIY Crafts. You will really love making these wall hanging at home using paper quilling. So, get ready for this interesting DIY home decor activity and give a new look to your house! So beautiful! Wonderful diy project of paper quilling.